Some 500 locally elected delegates come to Topeka for the annual KNEA Representative Assembly that sets policy and guidelines for the association throughout the year. The 2019 KNEA RA will be held April 6-7, 2019, in Topeka. Local Presidents may report delegates electronically here. Please contact Sarah Meyer at [email protected] or 785-232-8271with any questions or changes to your delegate report. The delegates address a myriad of issues that impact Kansas public schools by considering new business items, which involve actions on the part of KNEA, and resolutions, which are statements of belief. 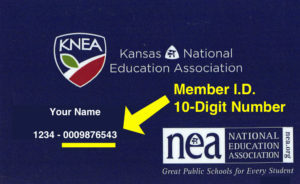 For the past few years, KNEA RA delegates also participate in “critical issues” discussions on current issues, such as school funding, Economic Development, teacher evaluation, school improvement, testing and advocating for Kansas public schools and the teaching profession.